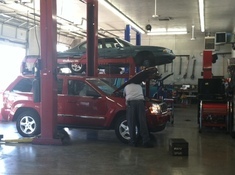 A dealership alternative: factory trained repairs with neighborhood service. 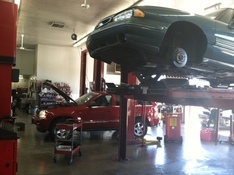 Minor and major repair services-oil changes to engines. Whether you need an oil change, safety inspection, or emission test-we can schedule your service right in. 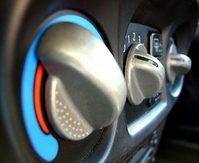 If your car or truck needs diagnosis for air conditioning, electrical, brake, heating, fuel injection, engine or transmission problems, we are happy to talk with you-over the phone or in our car repair shop-to see what options you have. •Air Conditioning Service and System Repair Specialists. •Alternators, Starters, Charging System Analysis. •Brakes, Anti-Lock Brake Systems (ABS). •Check Engine” light diagnosis and service. 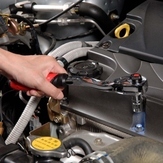 •Cooling System Diagnosis: Radiators, Water Pumps, Coolant Flush. •Computer Diagnostics & Repair: Sensors, Modules, PCM Reflash Service. •Emissions Systems Diagnosis and Testing. •Engine and Vehicle Computer Diagnostic Service. •Exhaust System Diagnostics: EGR Sensors, Catalytic Converters. •Fuel Injection & Fuel Systems: Diagnostics, Maintenance & Repair. •Heating System Diagnosis: Heater Cores, Thermostats, Temperature Sensors. •Radiator & Cooling Systems Service. •Starting/Charging Systems, Alternators, Starters, Batteries, Regulators.